The Maot Group is a venture capital and consulting company dedicated to investing in a responsible and ethical manner and focused on nanotechnology, biotechnology, and general high-tech. Since its founding in 1991, The Maot Group and its affiliated entities have built an exceptionally well-diversified investment portfolio under the leadership of its founding partner and managing director, Aryeh Rubin. Additionally, The Maot Group consults with investors and investment groups with the objective of discerning opportunities in advanced technology. The diversity, acuity, and creativity evidenced in The Maot Group’s portfolio are indicative of its leadership’s strategic vision and tactical expertise. The Maot Group invests both directly and through partners. In the past, The Maot Group and its affiliated entities invested in opportunities in the United States and abroad, from real estate to restaurants, from electronics to hi-tech disease therapies, from oil and gas to concrete. The diversity, acuity, and creativity represented by The Maot Group’s portfolio are reflective of its leadership’s strategic vision and expert tactical execution. While it still has interests in the above categories of investments, since 2008 The Maot Group has focused its investments in the areas of advanced technology in both the United States and Israel. The Maot Group continues to search for new opportunities in the technological fields; its network provides a consistent source of possibilities and Group employees and/or consultants attend conferences looking for innovative companies. In the recent past, representatives have been present at several conferences, including: Journey High Tech Conference, Tel Aviv; Noble Financial Healthcare, Hollywood, Florida; Rodman and Renshaw (sponsored by HC Wainwright), New York; Piper Jaffray Healthcare, New York; Oppenheimer Technology Conference, New York; and Jefferies Healthcare, New York. This website includes a selected list of The Maot Group’s investments, a review of which will reveal common traits of profitability, quality, and continued promise. Aryeh Rubin, founder and managing director of The Maot Group, directs the company’s daily operations and oversees all research and investments. He works with a full-time staff based in Aventura, Florida and specialized consultants worldwide. 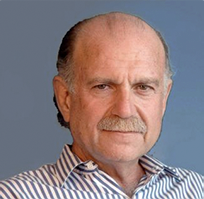 Prior to founding The Maot Group, Mr. Rubin was in the publishing field, first as the founder and publisher of Jewish Living magazine in the late 1970s and then as the publisher of New York–based KSF Group, a medical publishing company specializing in periodicals for the pharmaceutical industry. In the course of eight years, The KSF Group grew from one title to 39 titles, with 153 annual issues. The company was acquired by Merck-Medco in 1991. Mr. Rubin is also the founder and director of Targum Shlishi, a philanthropy dedicated to supporting innovative projects that promote positive change in the Jewish world. Mr. Rubin received a B.A. from Yeshiva University. He is married, has three children, and lives and works in Florida and New York. The Maot Group has been investing in companies and projects in the United States and abroad for more than 20 years. Previous investments have included leveraged buyouts, venture capital positions, and bridge loan financing. However, since 2008 our primary focus has been in nanotechnology, biotechnology, and general high-tech. The company has generally taken positions that were passive, but when warranted has taken a more active role. We have been fortunate in choosing excellent partners for many of our investments. We have stayed with the ones that were efficient, good to work with, and honest to deal with. Past partners have included Altus Capital, Cotswald Group, HEI Hospitality, Knoll Capital Group, and Walden Capital. Current partners, now that we are primarily focused on technology, include Lux Capital and Lionbird Group. In addition, The Maot Group invests directly in promising companies. Whether the investments we make provide stellar returns or result in losses, The Maot Group abides by its principal investment philosophy. All transactions are made responsibly, with exacting research, tireless due diligence, and thorough analysis. As we look to the future, we will continue to build and strengthen our portfolio, using the same methods that have worked for us during the past 20 years. This section of the website showcases a selection of The Maot Group’s investments from the past several years, both direct investments and those through partners. The Maot Group endeavors to make sound, secure, and diversified investment decisions, to work with companies that have strong management teams, and to avoid being caught up in the hype that is so prevalent in today’s market. Access to the investments section is password protected. To request access, contact The Maot Group at info@maotgroup.com. COPYRIGHT © 2015 MAOT GROUP. ALL RIGHT RESERVED.